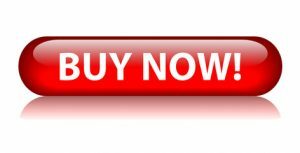 I want to show you how I follow individual stocks over the course of a month. In this post, I’ll show you how I have been covering NBEV. 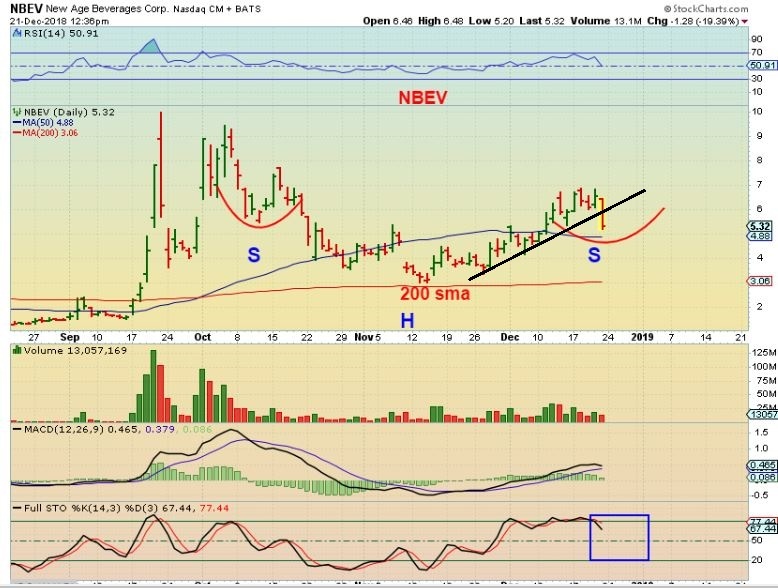 NBEV DECEMBER 21 – Back on Dec 21, NBEB broke down through an uptrend and notice that it was Overbought . I mentioned that it is possible that the 50sma would support it, it could go sideways, and form an INVERSE H&S as drawn here. If so I would re-buy it, because this too ran swiftly. Well guess what? Finally, By the end of the day NBEV had run up 11% and closed at $6.10. The sector is acting correctly. 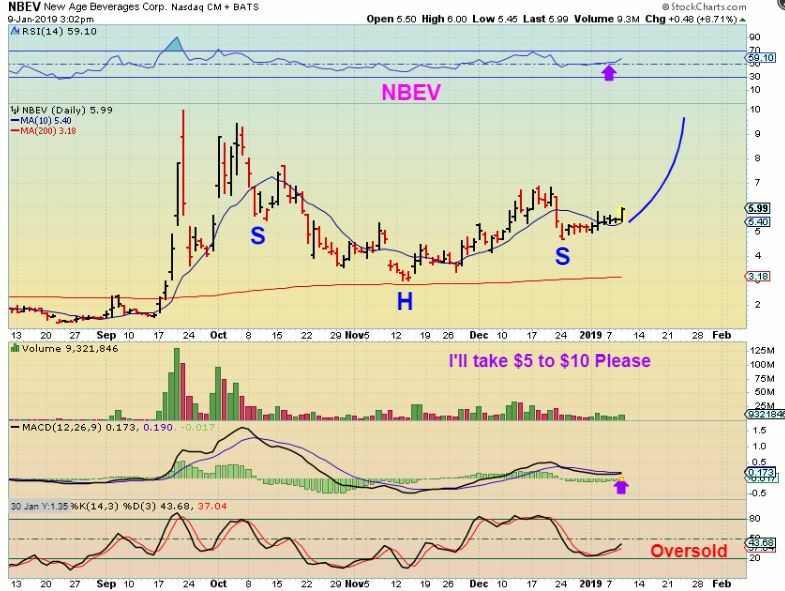 NBEV – I posted this in the morning, and NBEV traded all over the place yesterday. 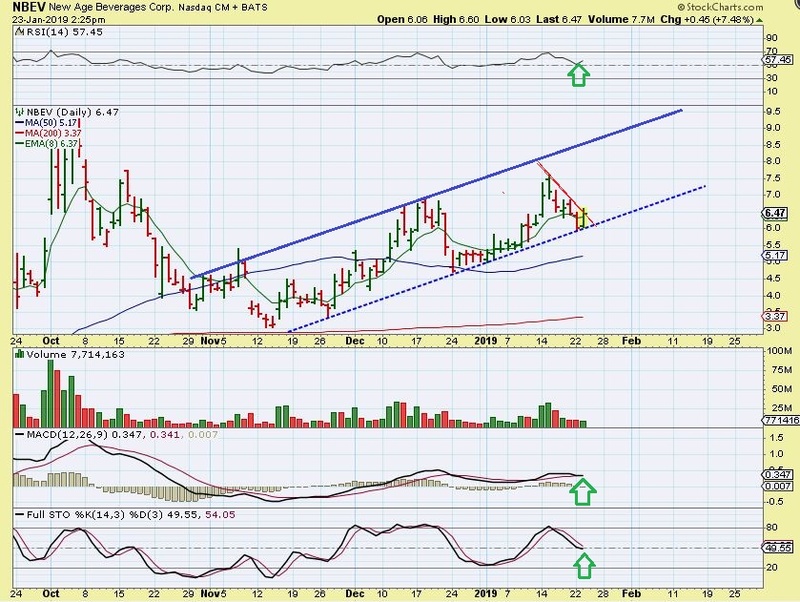 THIS may be support that now holds going forward, I will look for follow through. I own NBEV. 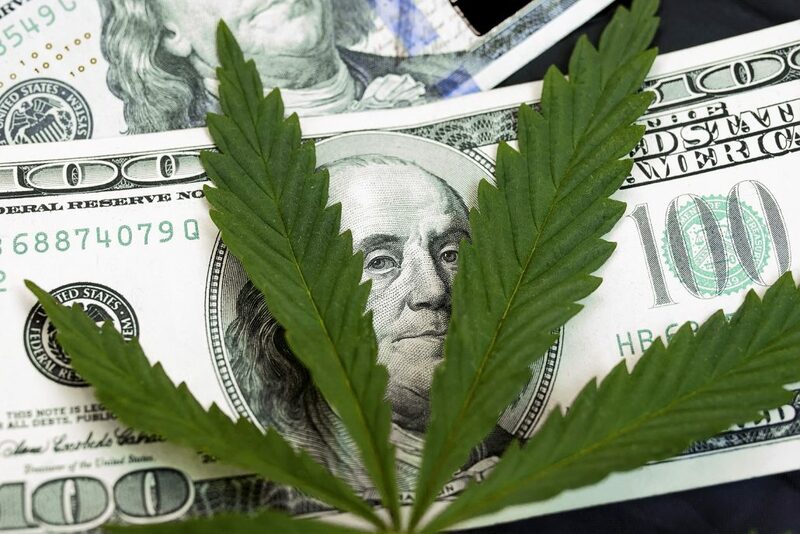 NBEV Daily – New Age Beverage has entered the CBD infused Beverage business, and has been drawing in buyers, but it DOES move quickly in both directions. 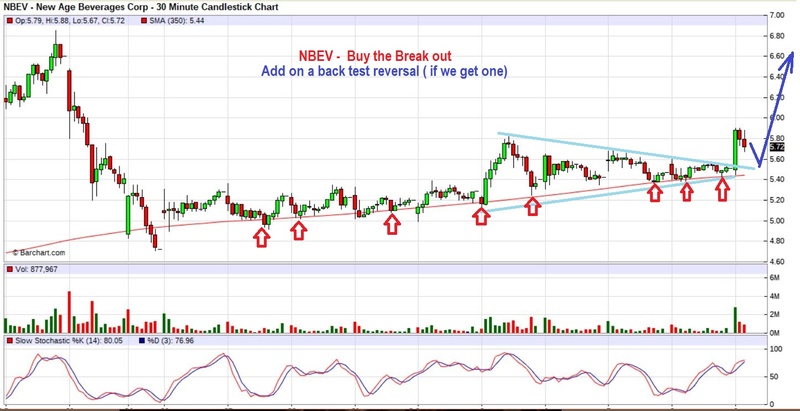 The daily chart of NBEV seems to have price climbing along a trend line or channel rather nicely, so this would be a good place to add or even start a trade. We got a nice reversal Wednesday, and I would expect that it continues higher from here. 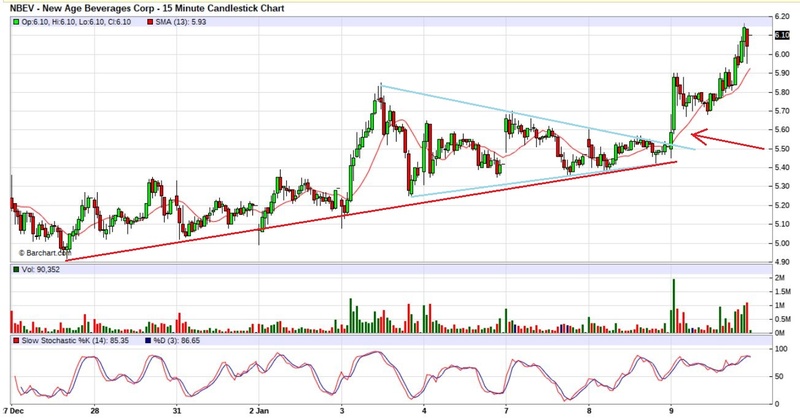 If it breaks above the RED TREND LINE Thursday, that is bullish. Let’s look at the weekly. 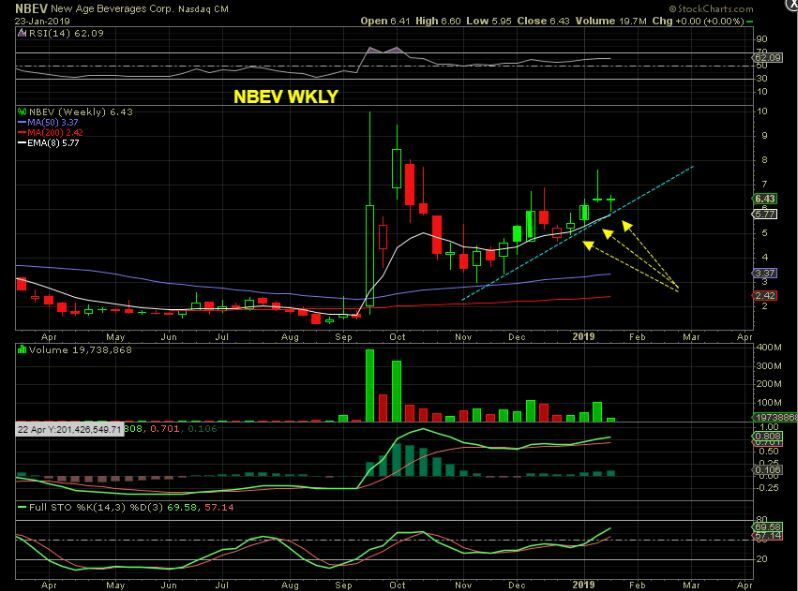 NBEV WEEKLY – We have a weekly reversal off of the weekly 8 ema and that uptrend line too. You could put a stop under the weekly low, which is about $5.90. 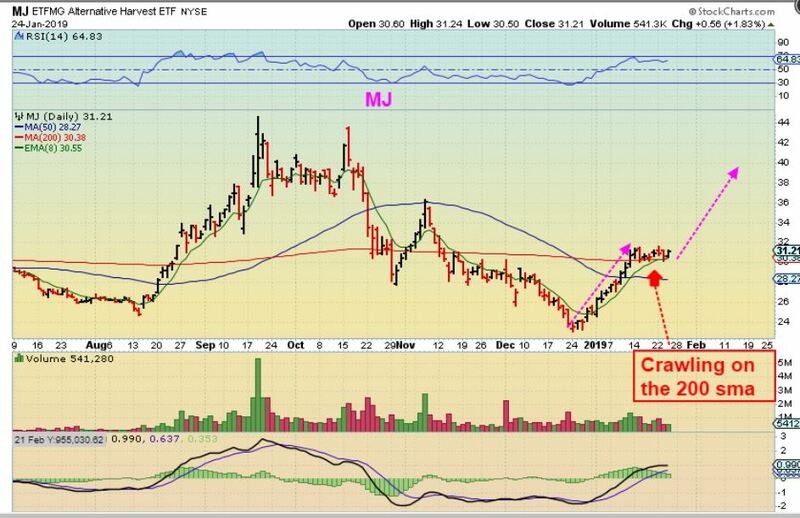 MJ ETF – As mentioned in prior reports, I expect a second leg higher here soon. Crawling along the 200sma is bullish and can be bought with a stop ( loose) .